Neurology 2018 has been planned and implemented in accordance with the accreditation requirements and policies of the Accreditation Committee. Neurological disorders are diseases of the brain, spine and the nerves that connect them. There is ample evidence that pinpoints neurological disorders as one of the greatest threats to public health. There are more than 600 diseases of the nervous system, such as Alzheimer's disease, brain tumors, epilepsy, Parkinson's disease, and stroke as well as less familiar ones such as frontotemporal dementia and an estimated 6.8 million people die every year as a result of these disorders there by making it necessary to investigate the unresolved Neurological Disorder. Neuropathic pain (neuralgia) is a pain that comes from problems with signals from the nerves. It was mainly classified into peripheral neuropathic pain and central neuropathic pain which includes spinal cord injury and central disorders. Pain is a significant public health problem that costs society at least and560-and635 billion annually. Women were more likely to experience pain in comparison to men. According to the recent survey, Chronic Pain affects 47% of USA Adults. The main intent of this session is to understand Complex regional pain syndrome (CRPS) that is associated with dysregulation of Central Nervous System (CNS) and Autonomic Nervous System (ANS). The current session on clinical neurology and pain focuses on: Neurological conditions affecting people and treatment of neurological or personality disorders. Brain Aneurysm Foundation and Brain Injury Association of America, Inc., Epilepsy Foundation and Epilepsy Institute, Huntington's Disease Society of America and Hydrocephalus Association, International Dyslexia Association and International Essential Tremor Foundation, International Rett Syndrome Foundation and Intracranial Hypertension Research Foundation. Children's Brain Disease Foundation, Myelin Repair Foundation and Myositis Association. Neuroimmunology is a field of neuroscience, combining immune system and the nervous system. The immune system administer defence against these organisms, inefficiency of the same results in Infections. The condition is much worse in developing countries; it has been a significant health problem in Australia. Some 350,000 to 500,000 patients suffer from multiple sclerosis (MS) in the United States .The conference on neurology is a platform to put our heads together and thrash out the cause of Multiple sclerosis and auto immune neuropathies, Neuroimmunological infectious disease, Neuromicrobial disorders and Neurological Lyme diseases, Neuroinflamation, Neuroimmuno genetics. This session also includes to group think the alteration in neuromodulation and psychiatric diseases and the recent Drug development in the field of Neuro immunology. The brain immediately confronts us with its great complexity. Alzheimer's which is a type of Dementia is: An Underlying Disease that causes problems with memory, behaviour and thinking. As estimated,5.3 million Americans of all ages have Alzheimer's disease in the recent survey. AD is the sixth leading cause of death in the United States and the fifth leading cause of death in Americans of age 65 and older. The etiological factors, other than older age includes genetic susceptibility. so it is important to exchange views on Causes and Prevention of Alzheimer’s, Alzheimer’s Disease Diagnosis and Symptoms, Alzheimer’s Disease Pathophysiology and Disease Mechanisms, Care Practice and Awareness. 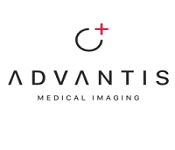 we are also going to analyse the Alzheimer’s Disease Imaging , Mechanisms for Treatment and Therapeutic Targets. Neuromuscular disorders is known to affect the nerves that control the voluntary muscles. One of the causes is the genetic and immune system disorder. More than a million people in the United States are affected by some form of neuromuscular disease, and about 40 percent of them are under age18.Diagnosis includes a multi-step process like muscle biopsy, NCV test, biochemical, genetic test etc. The goal of this session is to understand the origin of spine muscular atropies, Muscular dystrophy, Lambert-Eaton syndrome and other neuromuscular junction disorder. Further there will be an interactive conversation on Spasticy, Hyper reflexia and its prevention. In addition a talk will be deliberated on “Is it true that High dose of antibiotics leads to neuromuscular junction mal function” and the findings in the field of neuromuscular medicine. What seems astonishing is that engineering techniques like brain engineering, or Neural tissue engineering can be used to understand, repair, replace, enhance, or otherwise exploit the properties of neural systems and Neuro computing is the study of brain function in terms of the information processing properties of the structures that make up the nervous system. current researches in the field of neuroengineering include: Neural imaging and neural networking, Biomolecular therapies in neural regeneration, Neurorobotics, Biological neural networking, Neuro hydrodynamics and clinical treatment, Engineering strategies for repair, Computational clinical neuroscience, biological-neuronmodelling, Behaviors of networks and advanced therapies. People will also be enlightened on Advancement in brain computer interface and deep brain stimulation. While the topic sounds pretty small, but we needs more speciality and critical care in this discipline. An estimated 69,720 new cases of primary brain tumors are expected to be diagnosed in 2013, that includes both malignant (24,620) and non-malignant (45,110) brain tumors. Basing on the prevalence of diseases, the conference focuses on Post-surgical neuralgias, Brain tumour and metastatis, Oncological neurosurgery, Spine neurosurgery, Neuroanaesthesia and surgery and Vascular malfunctions and surgery . The neurons are organized into ensembles called Anatomical and functional neural circuits. Current researches identify disorders that affect different components of that neural circuit and a set of neural circuits that are critically involved in a specific disorder. Highest incidence rate of primary intracranial tumor was in Europe and the lowest rate in Africa. 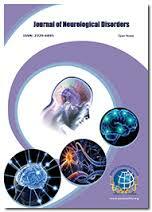 So it is requisite to enhance our knowledge on Current neurosurgery method. Genes affect the wiring and workings of the brain, which is the authority of all our rides. It is ultimately and solely the genes that give rise to a particular type of protein that may be beneficial or harmful that reflects the need of research in this particular field. 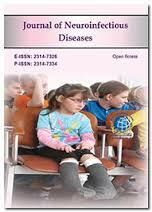 6000 and more emerging genetic disorders account for a significant portion of human disease and conditions. Nearly 4 percent of the approximately 4 million babies born each year have a genetic disease or major birth defect. Around 15,000 Americans are diagnosed to have Huntington’s disease (HD).Keeping the same in view the following sub tracks are designed to enlighten the thoughts related to Huntington's disease (HD) and related genetic disorder, Genetic engineering to overcome neurological problems, The genes as a link between the brain and neurological diseases, Gene defect and diseases, studies on genome wide association and disease diagnostics, sequencing of gene as a tool in determining the abnormal gene loci, Mutation of gene and neuronal migration defect. Autonomic disorders may result from other disorders that damage autonomic nerves or they may occur on their own. 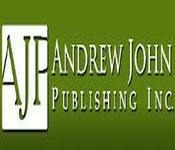 Progressive autonomic failure usually becomes apparent in the sixth decade of life. The Working of the central nervous system has proved to be more and more extensive and more and more fundamental as experiment has advanced in examining it. CNS disorder can be either myelopathy or encephalopathy. It is admirable to discuss about clinical neuroscience as this focuses on the fundamental mechanisms of diseases and disorders of the brain and central nervous system and seeks to develop new ways of diagnosing such anarchy, leading to the development of novelmedication. As per the estimates by the World Health Organization, neural disorders affect over 1 billion people worldwide, constitute 12% of the burden of disease globally, and cause 14% of global annihilation. Various neurology conferences are held all over the world like world congress of neurology2015 Chile in order to enhance and empower the knowledge of neuroscience. 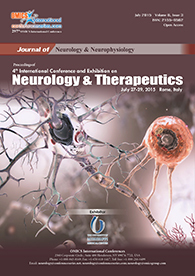 The 5th International conference on neurology and therapeutics that will be held at Madrid in March 2017, addresses all areas pertinent to this endeavour concentrating on Novel Therapeuticsand Diagnostics at the cellular and molecular level. 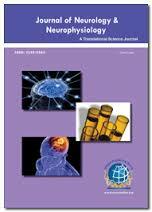 There is a profound increase in the diagnostics procedure and drug discovery in the field of Neurology. 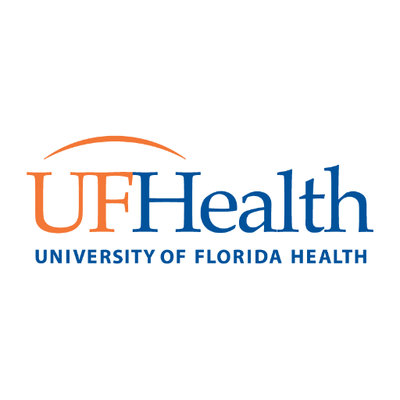 Neurological Nursing is a very challenging nursing specialty dealing with assessment, nursing diagnosis, and management of many neurological disorders in which nurses provide patient care. A Neuroscience Nurse assists patients with brain and nervous system disorders which includes trauma, brain injuries, stroke, seizures, tumours, headaches, infections, and aneurysms, as well as a host of other neurological complexities. Accelerated Cure Project for Multiple Sclerosis and Acid Maltase Deficiency Association, Acoustic Neuroma Association and ADA Disability and Business Technical Assistance Program, Aicardi Syndrome Foundation and Alliance for Aging Research, ALS Association and ALS Therapy Development Institute, Alternating Hemiplegia of Childhood Foundation and Alzheimer’s Drug Discovery Foundation. 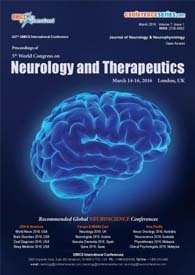 ConferenceSeries llc Ltd invites all the participants from all over the world to attend the Neurology conference entitled 21st World Congress on Neurology and Therapeutics which is held during March 15-17, 2018 at London, UK. The main theme of our conference is "Exploring the Recent Innovations and Novel Therapies in Neurology and Neuroscience" which covers wide range of critically important sessions. This meeting deals with the current research developments in the field of Neurology and also about the new treatment methods which are devised by scientists to treat various diseases in easier way. This meeting acts as a best platform for attendees to learn about the recent trends in Neuroscience research and development. Neurological disorders are diseases of the brain, spine and the nerves that connect them. There is ample evidence that pinpoints neurological disorders as one of the greatest threats to public health. There are more than 600 diseases of the nervous system, such as Alzheimer's disease, brain tumors, epilepsy, Parkinson's disease, and stroke as well as less familiar ones such as frontotemporal dementia. Europeans are plagued by mental and neurological illnesses, with almost 165 million people or 38 percent of the population suffering each year from a brain disorder. With only about a third of cases receiving the therapy or medication needed, mental illnesses cause a huge economic and social burden, it found the cost burden of these and neurological disorders amounted to about 386 billion euros ($555 billion) a year. An estimated 6.8 million people die every year as a result of neurological disorders. In order to accelerate the research in the field of Neuroscience we organizes different conference series worldwide. For More..
21st World Congress on Neurology and Therapeutics is a unique forum to bring together worldwide distinguished academics in the field of neuroscience and neurology, Brain researchers, public health professionals, scientists, academic scientists, industry researchers, scholars to exchange about state of the art research and technologies. Aim of this conference is stimulate new ideas for treatment that will be beneficial across the spectrum of Brain disorders. Neurology 2018 welcomes attendees, presenters, and exhibitors from all over the world to London, UK. We are delighted to invite you all to attend and register for the 21st World Congress on Neurology and Therapeutics which is going to be held during March 15-17, 2018 in London, UK. The organizing committee is gearing up for an exciting and informative conference program including plenary lectures, symposia, workshops on a variety of topics, poster presentations and various programs for participants from all over the world. We invite you to join us at the Neurology 2018, where you will be sure to have a meaningful experience with scholars from around the world. All members of the Neurology-2018 organizing committee look forward to meeting you in London, UK. 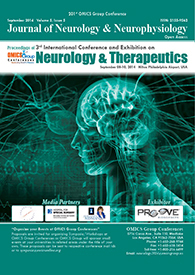 21st World Congress on Neurology and Therapeutics is a unique forum to bring together worldwide distinguished academics in the field of neuroscience and neurology, Brain researchers, public health professionals, scientists, academic scientists, industry researchers, scholars to exchange about state of the art research and technologies. 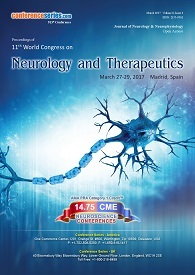 ConferenceSeries takes a great honor in announcing the commencement of 11th World Congress on Neurology and Therapeutics March 27-29, 2017 Madrid, Spain. Neurology-2017 has received a benevolent response from all over the world. 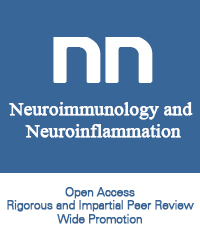 This has been conducted with the aim and the categorical intent of promoting the developments of new perceptions and ideas for exploring the high level of knowledge reached by scientific community on Neuroscience. The extremely illustrious conference hosted by ConferenceSeries was marked with the attendance of young and brilliant researchers, clinicians, business delegates and talented student communities.